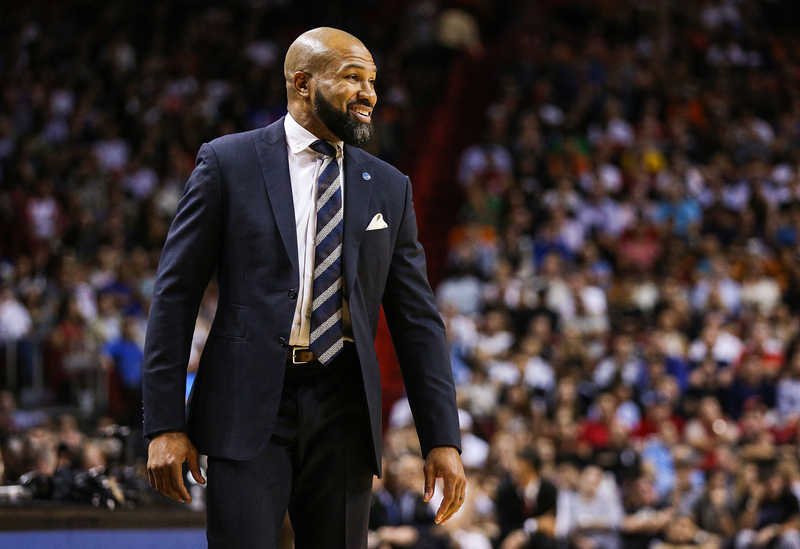 Ever since he parted ways with the New York Knicks in early 2016, Derek Fisher has made no secret of his desire to coach basketball again at the highest level. In 2019, Derek will get the opportunity to do just that after being named on Wednesday as the next head coach of the Los Angeles Sparks of the Women’s National Basketball Association. Derek has always been held in high esteem for his knowledge of and passion for the game, which is why he transitioned straight from an 18-year playing career straight to the bench as coach of the Knicks in 2014. He spent just over a season and a half as coach in New York coaching 136 regular season games in total. That and his ties to the city of Los Angeles made him a unique and strong fit for the Sparks. Derek’s 18-year NBA career is highlighted by five championships, all won with the Los Angeles Lakers. He also still holds the record for most playoff game appearances by a single player, with 259 postseason games played. He retired in 2014, after a Western Conference Finals run and was immediately hired as head coach of the Knicks. 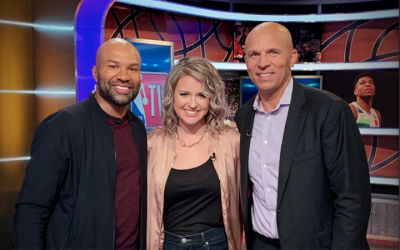 Since leaving the Knicks in 2014, Derek has spent most of his time in Los Angeles, serving as an analyst for the last three seasons for Spectrum Sportsnet, where he’s gained an intimate knowledge of the Sparks and created a lasting relationship with their staff. During his time in LA over the past few years, Derek has also gotten back involved in the Los Angeles community over the last several years, including hosting his annual youth basketball camp, the Derek Fisher Basketball Academy, open to girls and boys alike, in Los Angeles as well as sponsoring a girls AAU basketball team, the GBL Lady Rebels. With the Sparks, Derek inherits a talented team that is just one season removed from a WNBA Finals appearance in 2017, and two seasons removed from a championship. 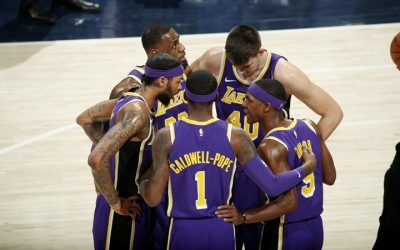 LA went 19-15 last season and was bounced in the second round of the playoffs. They’ll be looking to bounce back and make another title run in 2019, and they have the talent to do it. The team is led by five-time WNBA All-Star and two-time league MVP Candace Parker, who enters her 12th season in 2019 coming off one of the best years of her career in 2018. The star forward is looking forward to what Derek can bring to the table as the new coach of the Sparks in 2019. The Sparks will report for training camp in April, with the beginning of the 2019 season slated for mid-May.